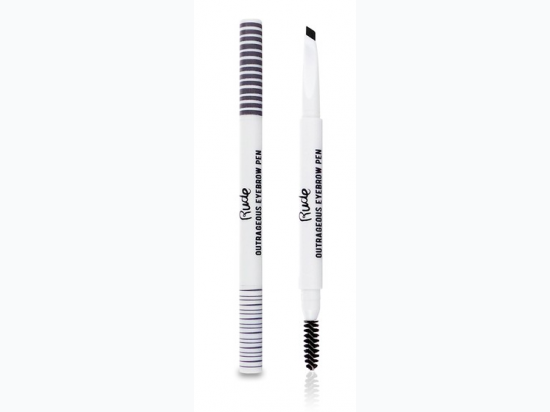 Black Brow Grooming by Rude Cosmetics - Black & Brown Outrageous Eye. This eyebrow pencil features a smooth brush applicator and a wand on the other side for combing through clumps. 0.011 oz.